Musicians! Comedians! Poets! Magicians! Spoken word artists! 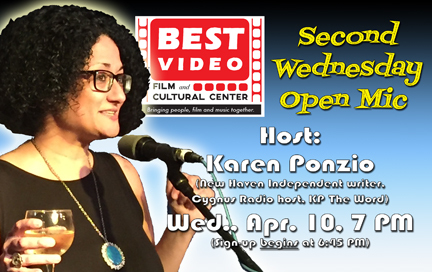 The Second Wednesday Open Mic takes place Wednesday, Mar. 13, starting at 7 PM. Admission is a Suggested Donation of $3-5 to support BVFCC. We are doing sign-up differently for this show. The sign-up sheet will be put out at 6:45 PM in order for prospective performers who haven’t been able to get here earlier to have a chance at performing slots. No sign-ups will be taken before 6:45. 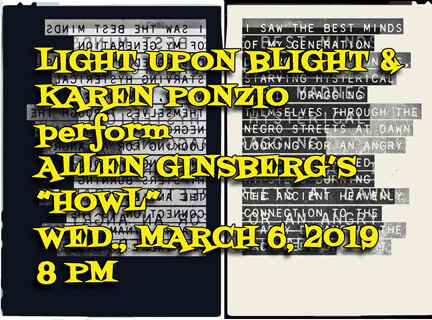 Writer Karen Ponzio reads Beat poet Allen Ginsberg’s “Howl” to the accompaniment of live improvised music by Light Upon Blight at Best Video Performance Space on Wednesday, Mar. 6. Krem ôn’ Wo͝ol opens. The show starts at 8 PM and the cover is a sliding scale of $5-10 (pay what you can in that range. Light Upon Blight is an improvisational collective run by New Haven based composer Jeff Cedrone. The music tends to range from soundtrack-like ambiance to Doom Metal to Free Jazz to whatever.This iteration of Light Upon Blight features Jeff Cedrone (guitar), John C. Miller (modular synthesizer), Richard Brown (alto sax), Brian Slattery (upright bass), and Peter Riccio (drums). Karen Ponzio has shared her poems, displayed her artwork, and hosted a variety of live shows throughout the New Haven area including the monthly Second Wednesday Open Mic at Best Video in Hamden. She also hosts a biweekly show on CygnusRadio.com called The Word According to KP focusing on written and spoken word of all kinds as well as lyrically driven music. 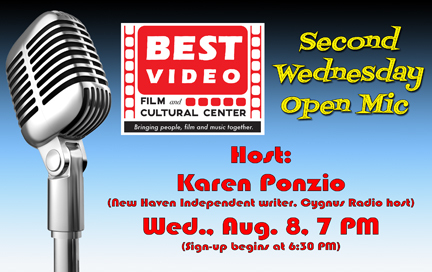 Ponzio is currently an arts journalist for the New Haven Independent and has also been published in local magazines such as The Cut-Up and Put Down Your Phone, New Haven. Krem ôn’ Wo͝ol is a founding member of the super underground band Florida=death. Works out of Superposition and enjoys street tacos. Musicians! Comedians! Poets! Magicians! Spoken word artists! 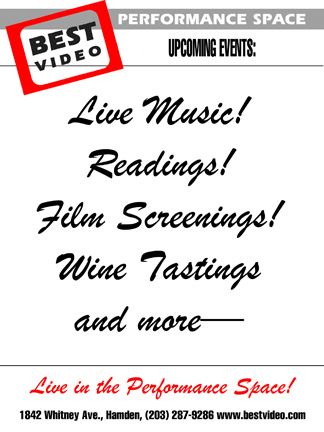 The Second Wednesday Open Mic takes place Wednesday, Jan. 9, starting at 7 PM. Admission is a Suggested Donation of $3-5 to support BVFCC. We hate to toot our own horn—okay, we don’t hate it that much—but this is a great open mic. 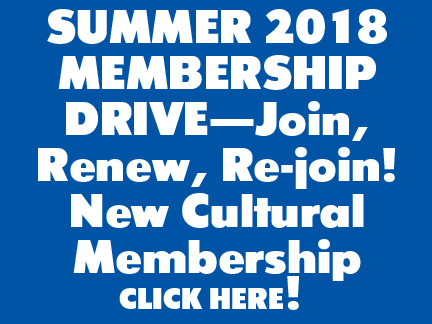 Welcoming, warm and with a diverse range of talent—young and old, beginners to seasoned performers. Musicians! Comedians! Poets! Magicians! Spoken word artists! 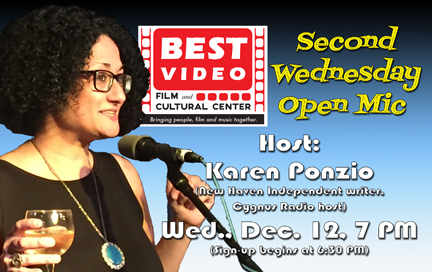 The Second Wednesday Open Mic takes place Wednesday, Dec. 12, starting at 7 PM. Admission is a Suggested Donation of $3-5 to support BVFCC. Musicians! Comedians! Poets! Magicians! Spoken word artists! The Second Wednesday Open Mic takes place Wednesday, Nov. 14, starting at 7 PM. Admission is a Suggested Donation of $3-5 to support BVFCC. Musicians! Comedians! Poets! Magicians! Spoken word artists! The Second Wednesday Open Mic takes place Wednesday, Sept. 12, starting at 7 PM. Admission is a Suggested Donation of $3-5 to support BVFCC.